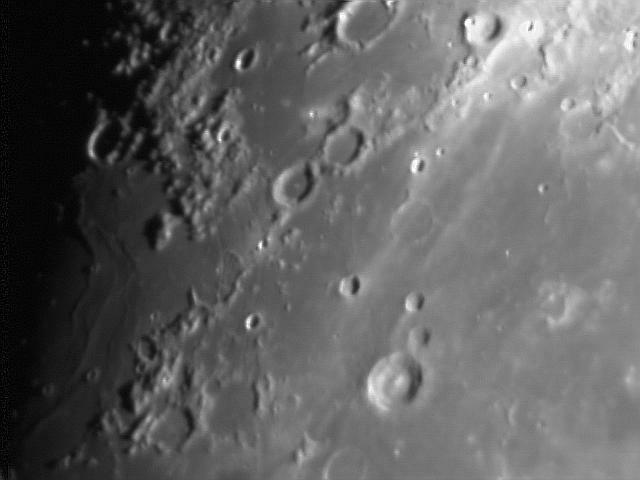 Image Details The Southern Highlands of the Moon during First Quarter, including the prominent craters Fracastorius, Piccolomini, Janssen, Fabricius and Metius. 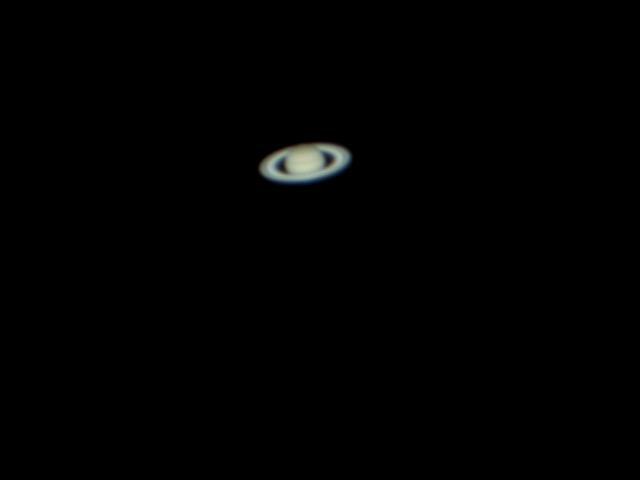 Image Details First Light with my new Scope!!. 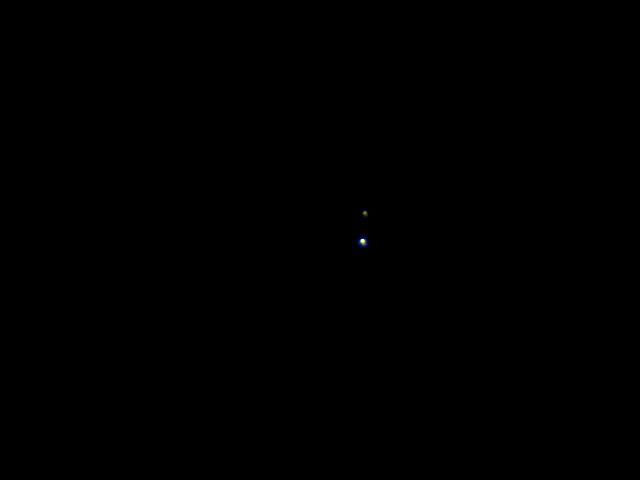 Jupiter, and from left Europa, Ganymede and Io. Ganymede is about to transit. 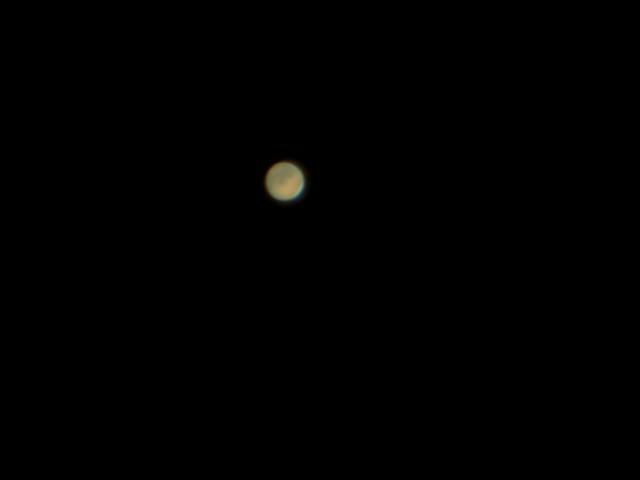 Seeing was poor and the low altitude of Jupiter did not help. Offset: 48, Expose: 0.044, Min Quality: 85, Default Kernel Filter, Track & combined 600 images. 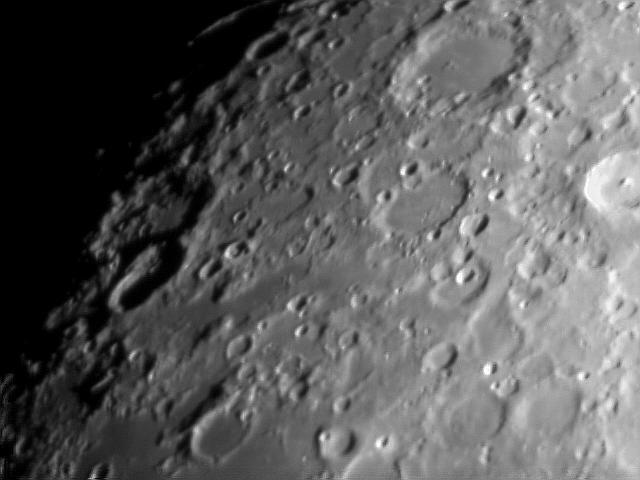 Capture Details Captured using the Meade LPI software. 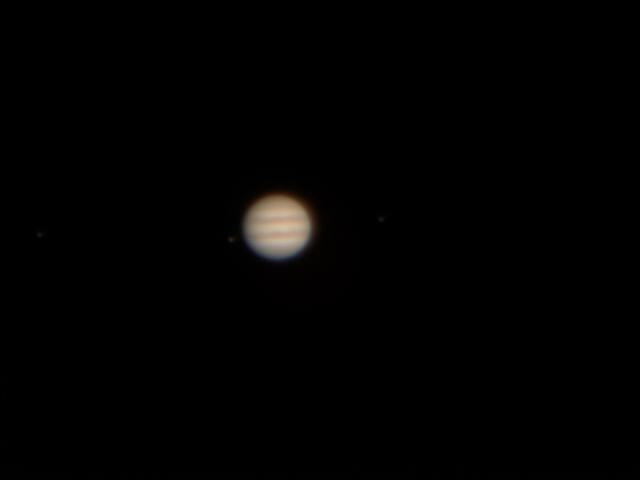 Settings used were the same as Jupiter earlier in the night. 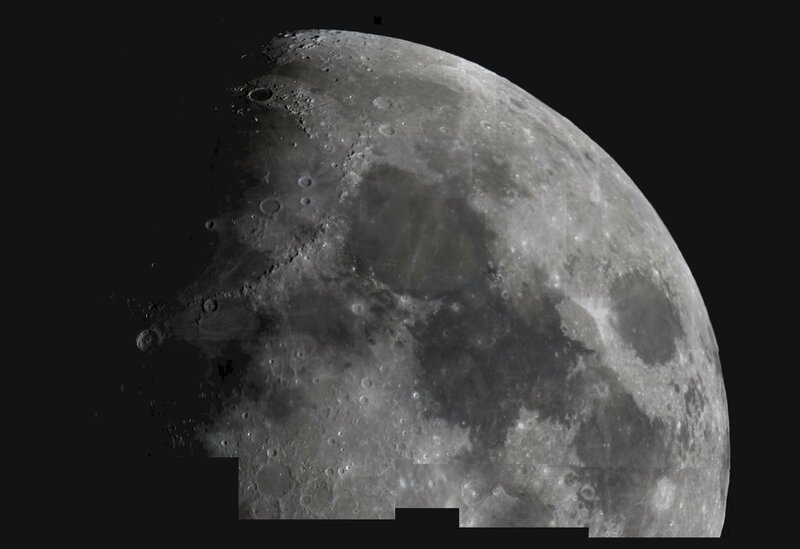 Capture Details Captured using the Meade LPI software. 20 images at 70% quality captured at 0.044 second exposure. South is Up. Seeing seemed to improve quite a bit while taking this image. 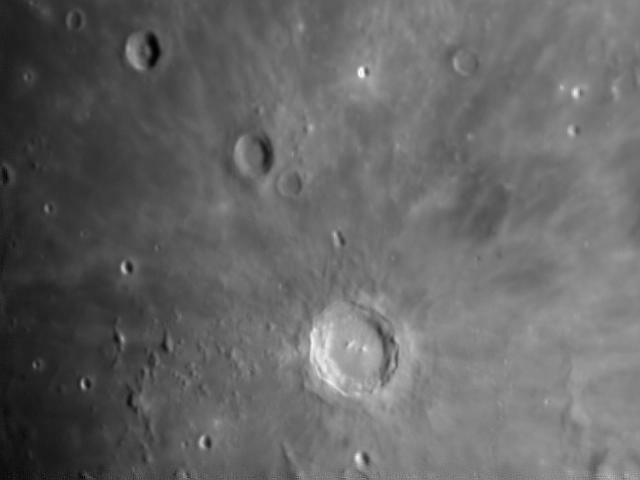 Image Details One of the most prominent features on the moon, the crater Copernicus. Image Details The Planet Saturn. 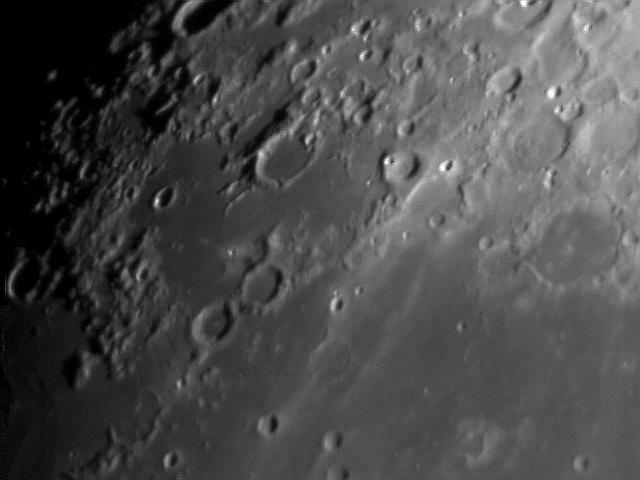 Capture Details Captured using the Meade LPI software. 50 images at 55% quality captured at 0.25 second exposure. 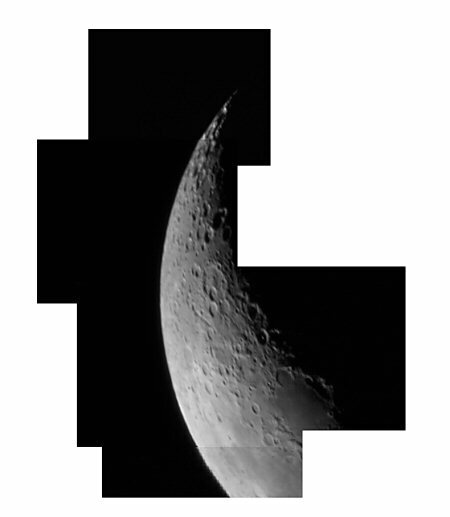 Image Details Partial Mosaic of the Moon just past First Quarter. Capture Details Captured using the Meade LPI software. 30 images of 30 images stacked at 50% quality. Image Details The Planet Mars. 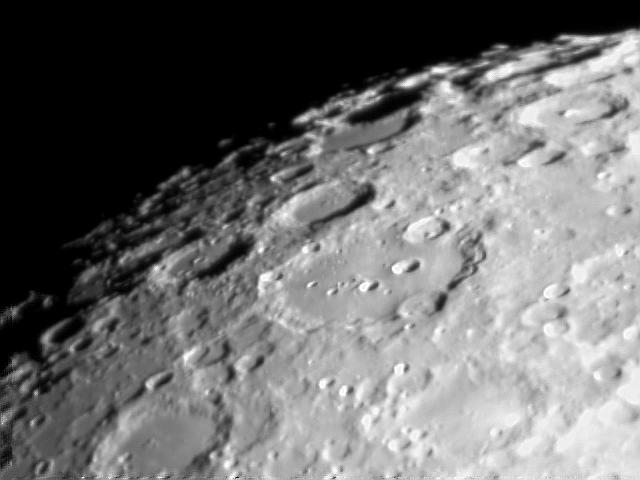 Capture Details Captured using the Meade LPI software. A stack of 70 images.